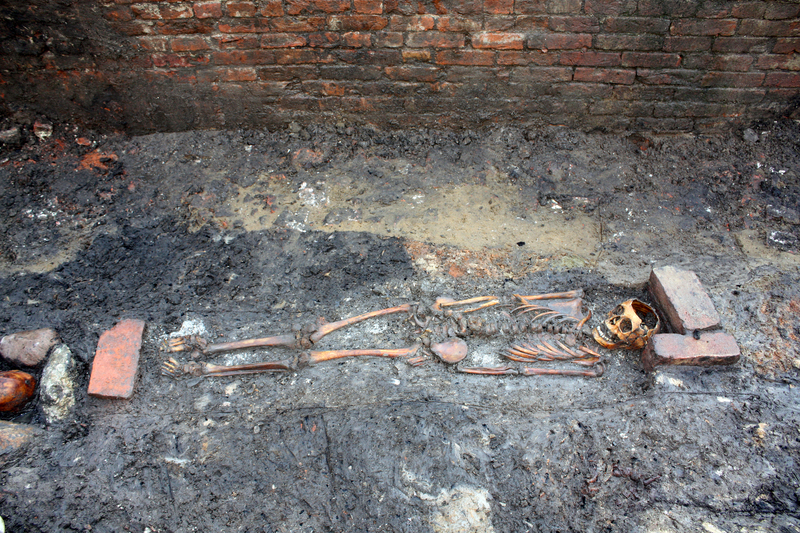 Chemist Kaare Lund Rasmussen from the University of Southern Denmark has found a way to extract information once contained in the soft tissues of decayed human remains from the soil in which they were interred. That gives researchers access to details about the final weeks and days of a person’s life that cannot be determined from the bones. The trick is to gather soil samples from the precise positions where the tissues used to be. “When the body decays in the grave a lot of compounds are released to the surrounding soil – by far most of them organic compounds. Also most of the inorganic elements are transformed to other compounds and later removed by the percolating groundwater throughout the centuries that follows. If we can localize an element in the soil in the immediate vicinity of the skeleton which is not normally found in the soil itself, we can assume that it came from the deceased and this can tell us something about how the person lived. We are not interested in death, but in the life before death,” Kaare Lund Rasmussen explains. Rasmussen and his team extracted soil samples from the burial of a child who died between 1200 and 1250 and was buried in a cemetery in Ribe, Denmark. They took little tubules of soil from the areas where the lungs, liver, kidney and upper arm muscles would have been before the remains were skeletonized. 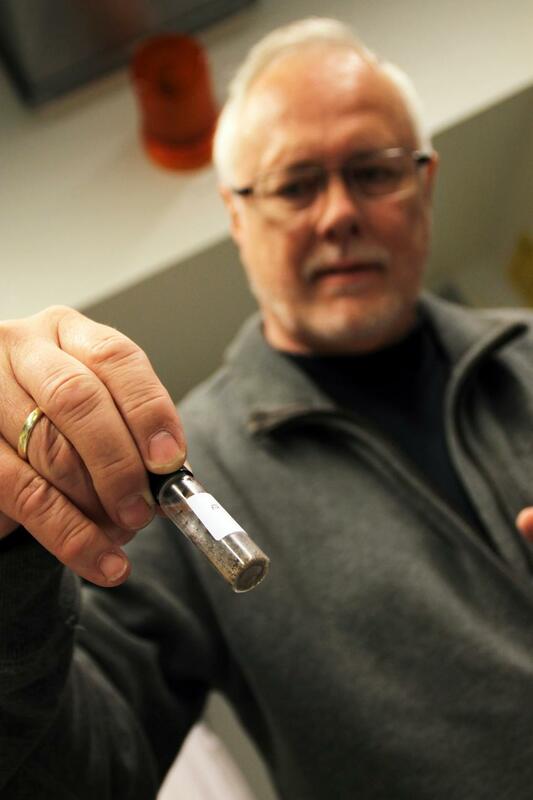 The soil was then analyzed in the lab for traces of mercury. Mercury’s properties make it a potential rich source of varied information about the deceased. In soil that is neither polluted nor rife with cinnabar deposits, mercury is a very rare element, but people have used it for thousands of years in everything from medicine to cosmetics to filling canals in the massive mausoleum complex of Qin Shi Huang, first emperor of a united China. That means the source of any mercury found in burial soil is almost certainly the human remains. It is also absorbed and released at different rates depending on which tissues it’s in, so for instance, since mercury inhaled in the lungs is excreted within no more than 48 hours, any mercury found in the soil sample taken from the lung area indicates that the deceased took a hit of mercury up to two days before death. Mercury was found in the lung area soil of the Ribe burial, ergo, the child was exposed to mercury shortly before he or she died. Mercury was also found in the kidney area soil, indicating exposure two months or so before death. Archaeologists have been testing for excess mercury in bones for some years now, but bones take a long time to absorb mercury so they can only testify to exposures that happened from three to 10 years before death. 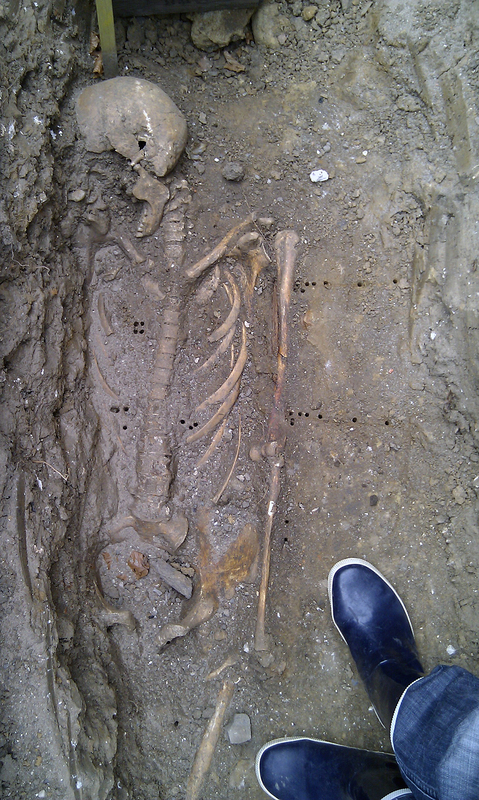 So far, the University of Southern Denmark team has used their new methodology on soil samples from 19 medieval burials in two Danish cemeteries: the Lindegaarden cemetery in Ribe, southwestern Jutland, and the Ole Wormsgade in Horsens, eastern Jutland. This is a potential gold mine of archaeological information that has been up until now been dug, sifted or brushed away.